Who you gonna trust, me or your lying ears? It can be difficult to recall all the individual low points we’ve experienced so far in 2017. Like, remember when an about-to-be-congressman physically assaulted a reporter for having the temerity to ask him a question about health-care policy? 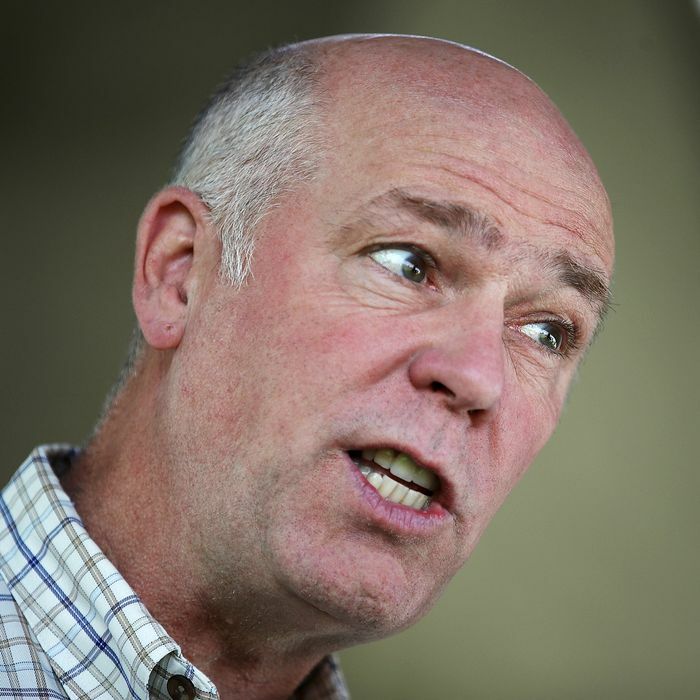 That lawmaker was Montana’s Greg Gianforte, and records made public on Friday show that shortly after body-slamming The Guardian’s Ben Jacobs in May, he falsely told police that Jacobs had been the belligerent one. That account, which had seemed absurd on its face, was disputed by eyewitnesses and definitely debunked when Jacobs released audio of the altercation. Despite his violent behavior, Gianforte was elected to Congress the next day, prevailing over Democrat Rob Quist by about six points in the special election to fill the seat left vacant by the appointment of Interior Secretary Ryan Zinke. But later, to add insult to literal injury, he refused the one-on-one interview he had promised Jacobs.